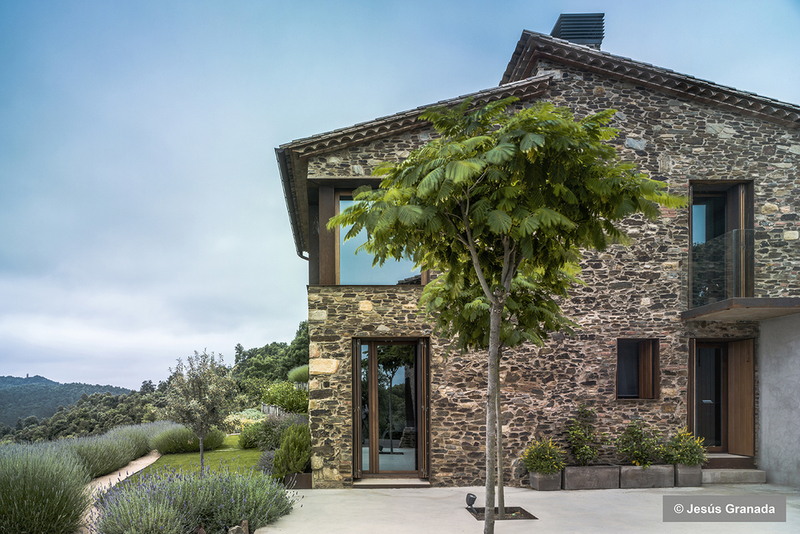 Redesigned by a renowned Barcelona architect, this beautiful 5 bedroom villa harmoniously juxtaposes old and new styles in line with the surrounding nature and environment. 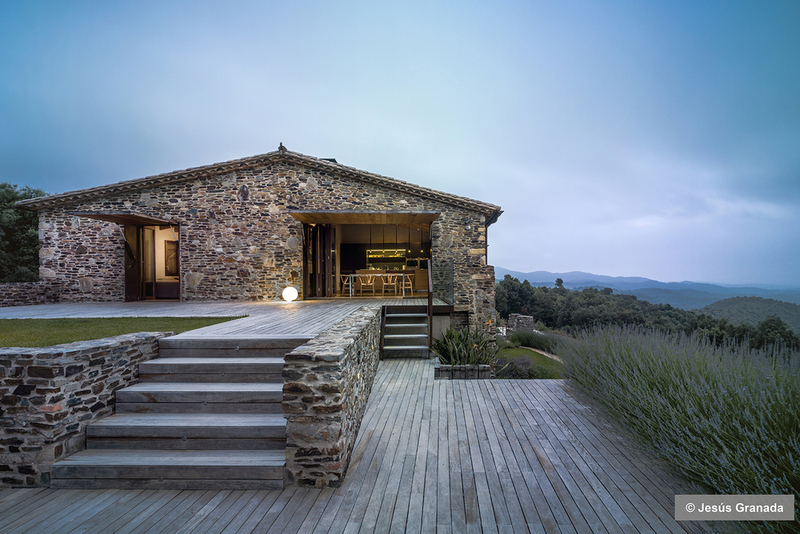 Located on a hill in National Park outside Girona, this stunning sustainable home is surrounded by landscaped gardens with endless views extending towards the Mediterranean sea. Inside, a mix of clay, steel and wood are balanced together creating a unique atmosphere with the stone facade and large openings with rusted steel-framed windows. The upper floor opens out onto the garden, terrace and infinity swimming pool, filtered by plants and gravel. Remote enough to elicit the utmost peace and serenity, yet only 20 minutes to the nearest town, this architectural delight is ideal for families, groups and nature lovers that want to escape with all the modern conveniences.